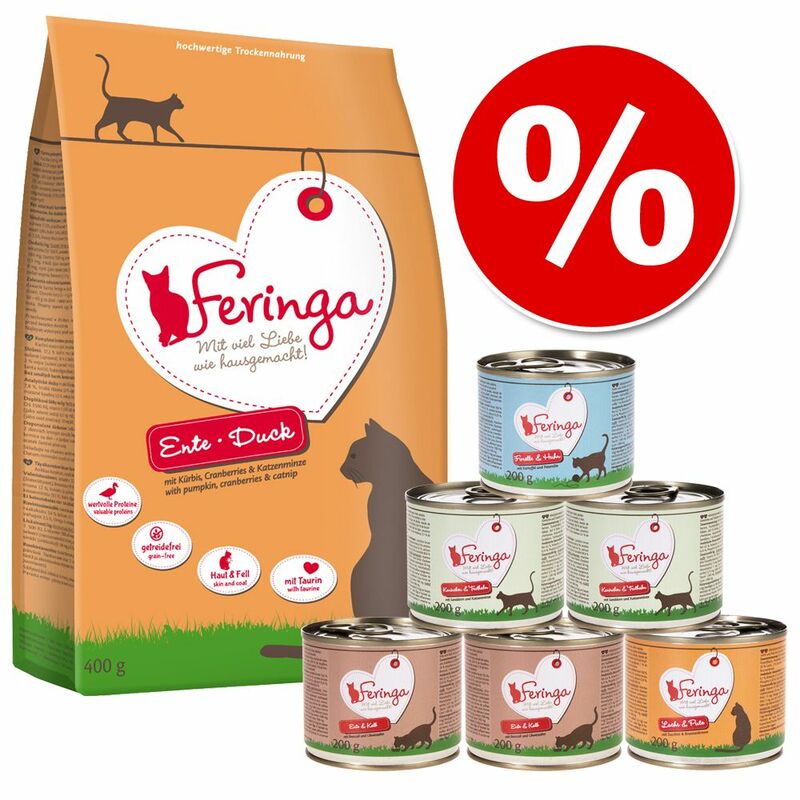 Exclusive to zooplus, Feringa is a natural, grain-free, complete cat food with a high meat content of at least 95% human grade meat. Also enriched with delicious vegetables and herbs, we are pretty sure your cat will love the great taste of this meaty menu! The carefully selected ingredients are prepared in a family-owned factory, preserving the natural nutrients and delightful flavours in every can (or bag). 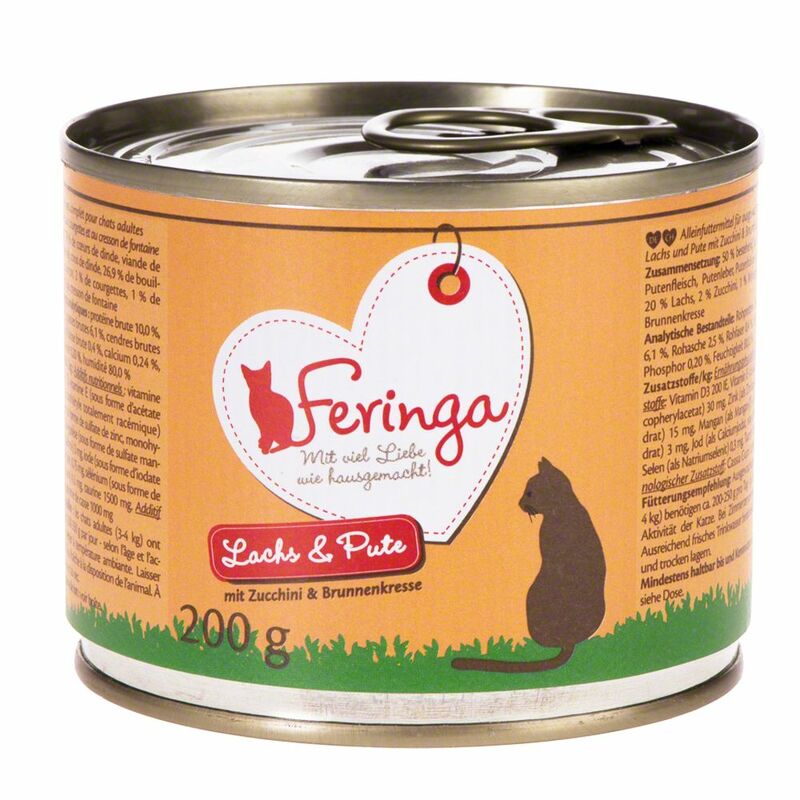 This Feringa Menu Wet Food Duo contains a combination of freshly prepared meat or fish, accompanied by delicious vegetables or fruit and a pinch of herbs. This tasty tin is available in 6 varieties ranging from Poultry with Baby Carrots & Dandelion, to Salmon & Turkey with Courgette & Watercress. This grain-free, natural dry food is a splendid combination of easily digested fish, tasty pumpkin, blueberries and a pinch of irresistible catnip. 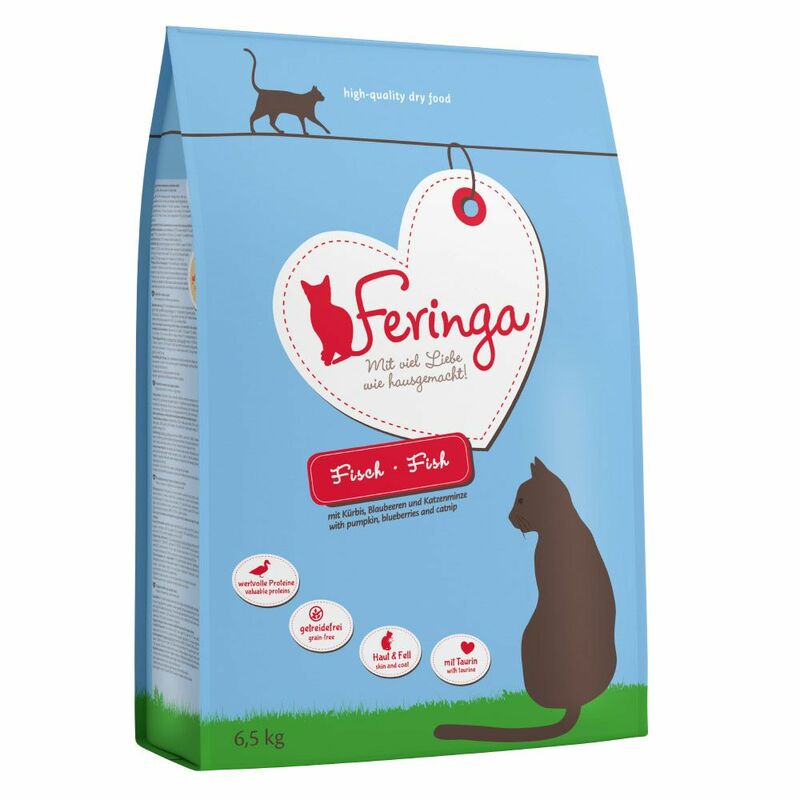 This bag of goodness provides your cat with a natural, grain-free diet, as well as high quality proteins from tender fish. 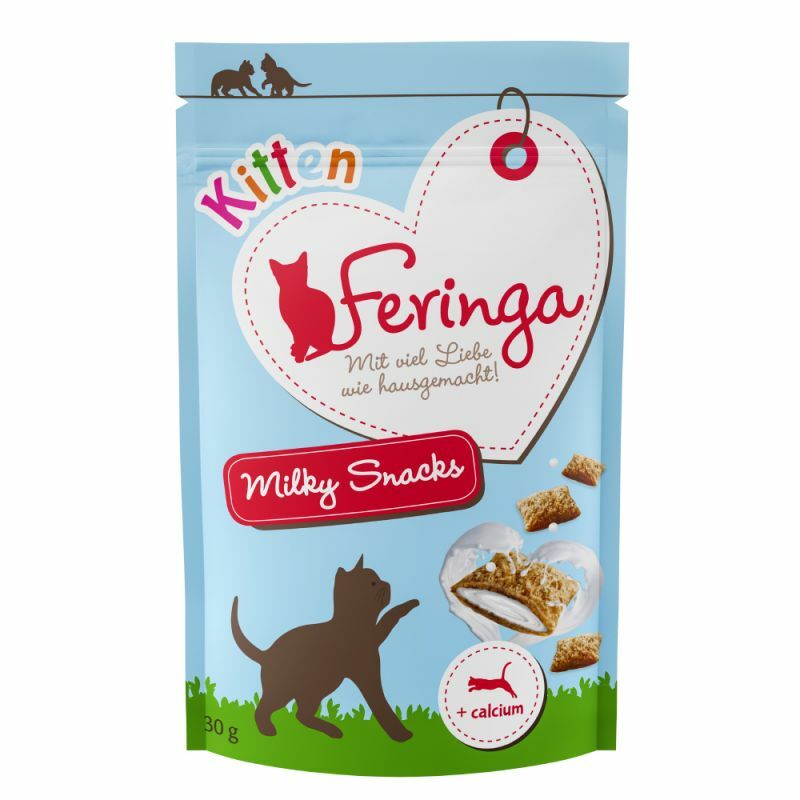 Feringa Kitten Milky Snacks are formulated to support healthy, balanced growth in young cats. These tasty crispy treats with a soft creamy filling provide vital vitamins, natural calcium and all-important taurine – they can be used as a special treat or simply a delicious snack. These wholesome sugar-free cat snacks with a high meat content provide valuable protein, healthy vitamins and essential taurine. 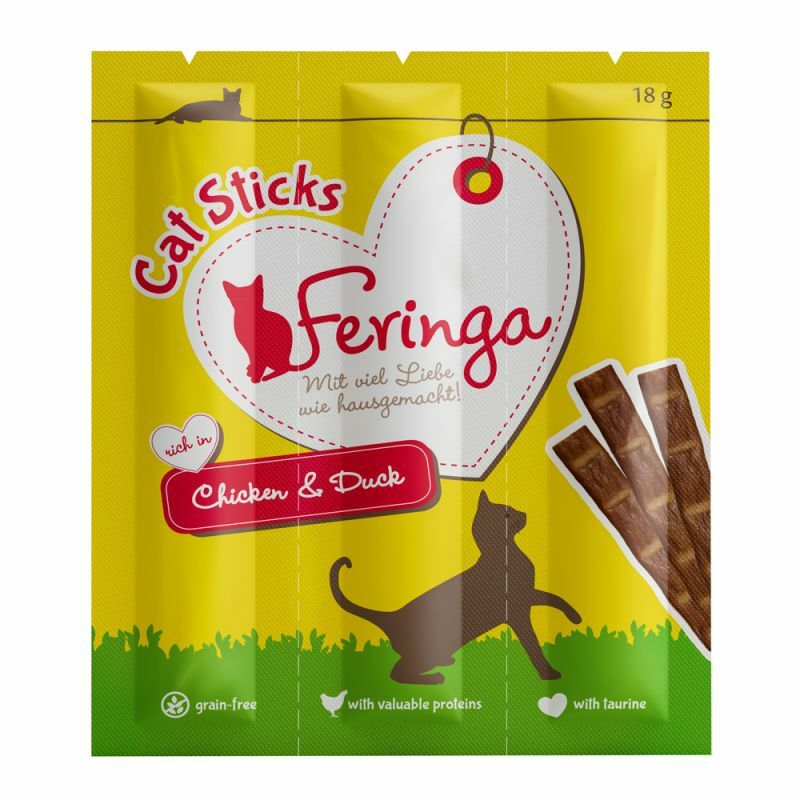 Each stick is individually packaged to retain their fresh, aromatic, delicious taste – simply too good for your cat to resist! Unsure whether your cat will approve? This tasty trial pack is the perfect way for them to try out the delicious Dry and Wet food. This entry was posted in Cats and tagged cat food, cat snacks, cat treats, Cats, dry cat food, exclusive brands, Feringa, Feringa cat food, kitten, kitten snacks, wet cat food by bethr. Bookmark the permalink.